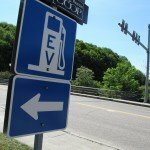 Vermonters waste millions of hours of their time and gas to commute each year. As an Energy Committee, you can help your local residents reclaim their time, and their wallets, by engaging your community in a dialogue about efficient transportation. 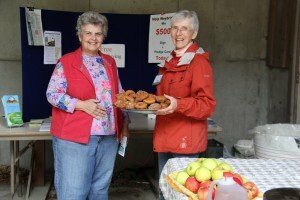 This program offers $500 grants to volunteer groups to promote, enhance and enable efficient transportation in their communities. You are encouraged to join more than 25 communities of all sizes, making a big impact in the lives of their neighbors. Bradford, Brattleboro, Calais, Hardwick, Montpelier, Sharon, South Burlington, South Hero, Springfield, Thetford and Weybridge. Don’t wait to make an impact. Spark a conversation within your community. We can make a difference together. To apply for a Community Assistance Program grant, simply submit a letter of intent on your town’s letterhead to share your initial plans. Go! 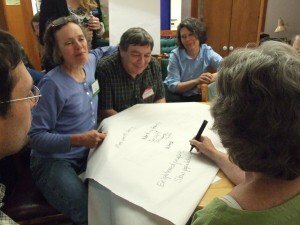 Vermont reps will meet with your organization, discuss options, and provide materials and assistance. The grant funding will be awarded when you report back. Download the Letter of Introduction for more information. The Vermont Transportation Efficiency Network (VTEN), is your go-to network of transportation professionals available to advise you of opportunities, experiences and success stories. Learn more. There are a number of ways you can get involved — post materials in public spaces, promote the Way to Go! Challenge, identify volunteers, collect data via survey, provide materials or handouts at Farmers Markets, Town meetings, and Energy Fairs. Looking for more ideas? Download our Energy Committee one-sheeter for more suggestions on how to promote and encourage shared mobility. Rethink cycling, biking & walking with one-on-one coaching through VBike and Local Motion. Learn more.